SASS MOUNTED SHOOTING WORLD CHAMPIONSHIPS! 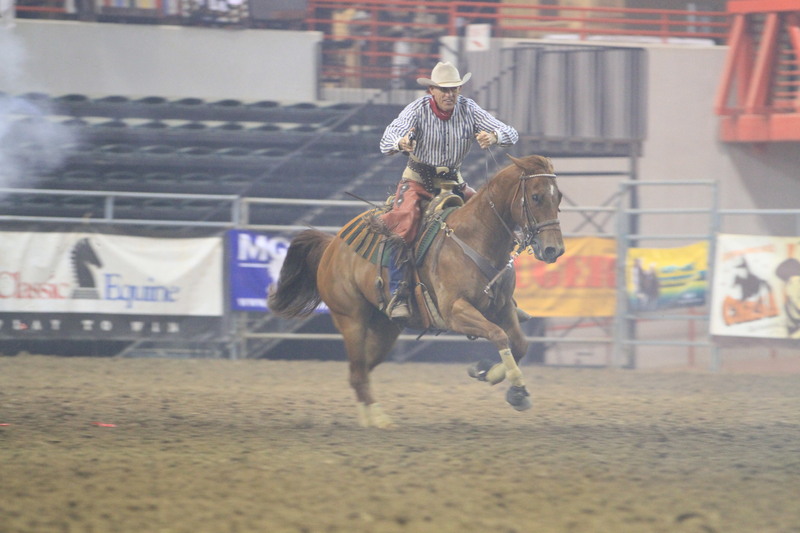 END of TRAIL 2015 will be a historic and exciting event pitting the very best Cowboy Mounted Shooters from across America and beyond in an epic shoot-out that will feature colorful cowboys and cowgirls in mounted revolver, rifle, and shotgun competitions. 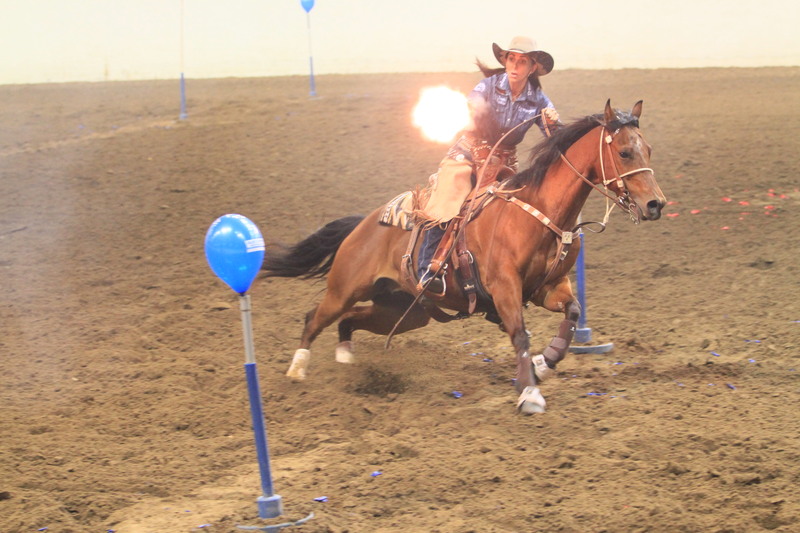 SASS is thrilled to announce that the World Championship of SASS Mounted Shooting will again be a 100% SASS Member match, with SASS Mounted Club Buffalo Range Riders Mounted as hosts and event organizers. 10:00 AM - Mounted Shooting Events Begin! 3-stage World Championship Main Match, World Speed Contest, Mounted Rifle Rivalry, Mounted Parade through Founders Ranch Town. 9:30 AM - Mounted Shooting Events Begin! 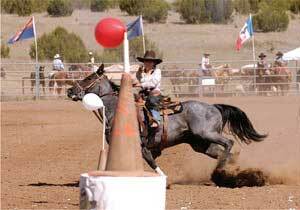 3-stage World Championship Main Match, Mounted Shotgun Shoot-off, Quick Draw Duel, Extreme Team Contest, Mounted Parade through Founders Ranch Town. Horses ARE allowed in the Town Square and Sutlers areas! Well behaved horses are welcomed in all safe areas of the encampment. REMEMBER, BE SAFE, HAVE FUN, AND BE SAFE!